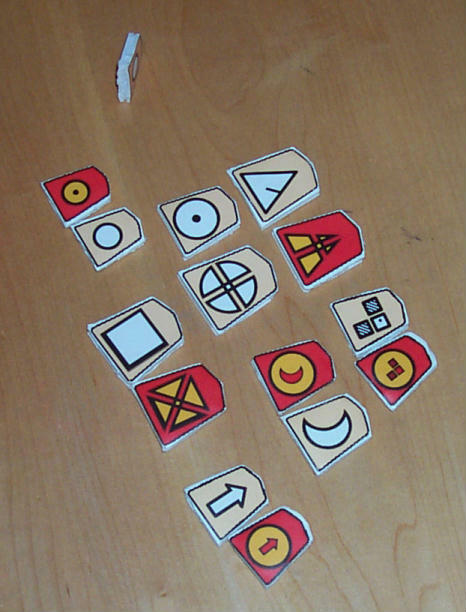 This picture shows a closeup of the pieces. 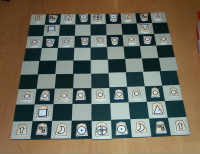 It also shows a Pawn on its side to give you a side view of how thick these pieces are. Here is the end of a game. The King from the photographer's point of view has been checkmated. 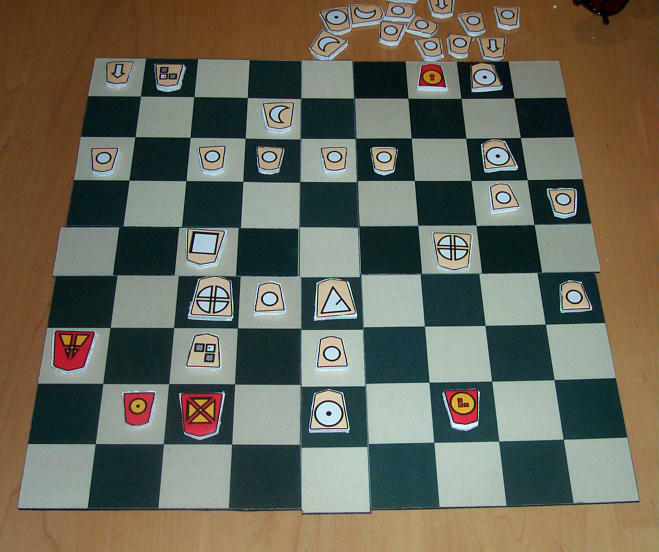 Here is a sideview of the start of a game. It looks like we weren't paying enough attention, because a mistake in the setup slipped by. 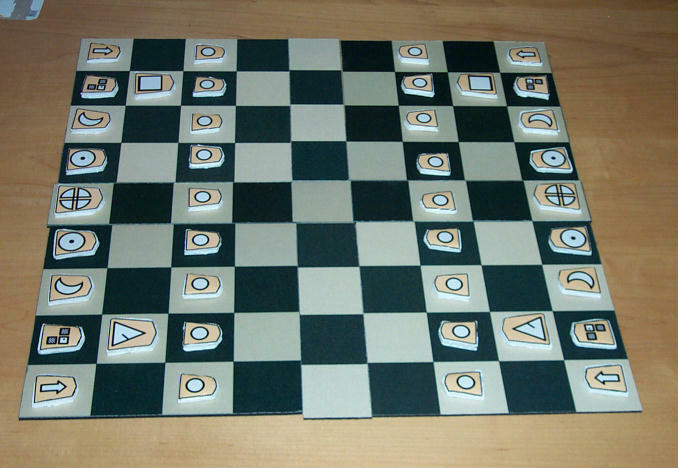 Here is another view of the start of a game. 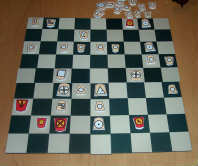 The mistake in setup is that the Rook and Bishop on the photographer's side are in each other's place. Photos of Homemade Symbolic Shogi Pieces. Photos of pieces made from computer printed stickers on foam board. 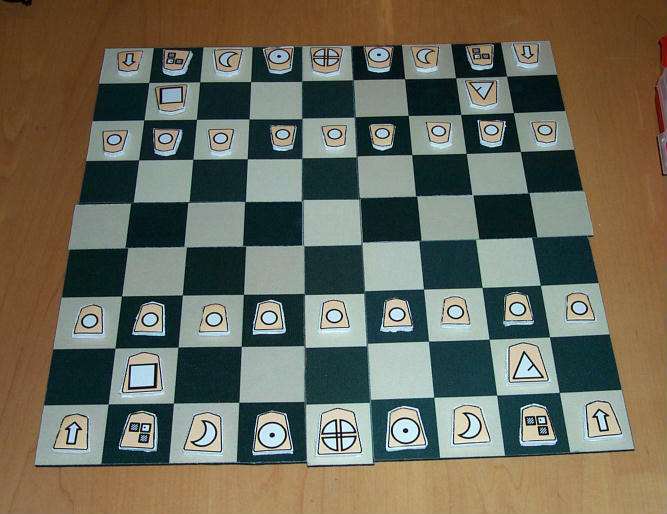 I've been thinking to use shogi pieces as default to all my chess variants pieces (FIDE too), it's easier to cut. But I'll try it in wood.